Population 492,534 Cocaine/crack use in Wyoming Cocaine remains readily available throughout Wyoming. Crack also is available throughout parts of the state. Many residents have concerns about the growing cocaine addiction and abuse in Wyoming. According to the 2003-2004 data from the NSDUH approximately 33,000 (7%) Wyoming citizens (ages 12 or older) reported past month use of an illicit drug. 10,000 (2.3%) reported past year cocaine use. Additional 2003-2003 NSDUH results indicate that 12,000 (2.86%) Wyoming citizens reported illicit drug dependence or abuse within the past year. Approximately 8,000 (1.88%) reported past year illicit drug dependence. According to the NSDUH data approximately 10% Wyoming 12-17 year olds reported past month use of an illicit drug. 1,000 (1.69%) reported past year cocaine use. Approximately 0.3 kilograms of cocaine were seized by Federal agencies in Wyoming during 2005. How many people in Wyoming have attempted getting help? During 2004 there were 4,976 admissions to alcohol/drug treatment in Wyoming. 40 (0.8%) were for use of cocaine 30 (0.6%) for use of crack cocaine. According to 2003-2004 NSDUH data approximately 11,000 (2.63%) Wyoming citizens reported needing but not receiving treatment for illicit drug use within the past year. The numbers keep growing every day for addiction to Cocaine. You read it in the newspapers and see it on TV. Politicians keep talking about getting more money for treatment. The question is if treatment worked for Drug addiction, wouldn’t the number of people addicted to Cocaine be going down? If you live in Wyoming, you already know the rates of Cocaine addiction are climbing. With so many resources spent on rehabs and traditional treatment, how can the problem be getting worse? In a word: relapse. Relapse is used by treatment to get people to come back over and over again. Research has shown that treatment doesn’t work. In fact, 35 or 75% people relapse every year with Cocaine addiction. Traditional treatment even teaches that everyone is on an endless cycle of relapse and recovery to justify the rounds of treatment they offer. If you or a loved one is ready to change and live their life, it’s time to get off the treatment treadmill. Freedom Model Retreats’ completely non-12 Step program has both higher rates of success with stopping addiction now and proven long term success of ending Cocaine addiction for good. For over 27 years, we’ve worked with people just like you who were tired of the treatment treadmill and wanted a real solution. 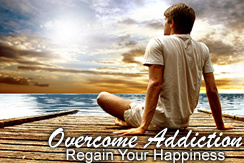 By combining freedom of choice, empowerment, and personal responsibility with acquiring life skills and building a personalized plan for your goals and dreams, you can finally leave Drug addiction and relapse behind. If you want to end the cycle of relapse for yourself or a loved one, call Freedom Model Retreats today. The Freedom Model Retreats have been helping people with Cocaine Addiction for over two decades now. Whether you are looking for a program in Wyoming or somewhere else, We Can Help. You might have come to this page because you or someone close to you is struggling with Cocaine Addiction. Maybe Cocaine is not the only substance they are choosing to use and the combination of them is causing great pain to you or to your immediate loved ones. Please understand that there is a better life waiting for you. You may have attended a Treatment Center for Cocaine in Wyoming and are still have difficulties leaving this life style behind. Please know that we understand. Freedom Model has been helping people in this situation for over two decades and we have created a model that will give you the freedom to choose which path you want to take. The responsibility lies within you, you are not dependent on Cocaine to lead a happy life, but in your ability to take responsibility of your own actions. 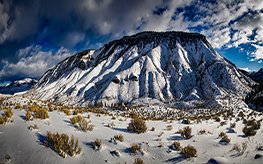 So if you are seeking a Cocaine Rehab or Treatment in Wyoming please call Freedom Model to learn how our Alternative Programs can give you an opportunity to create lasting change.